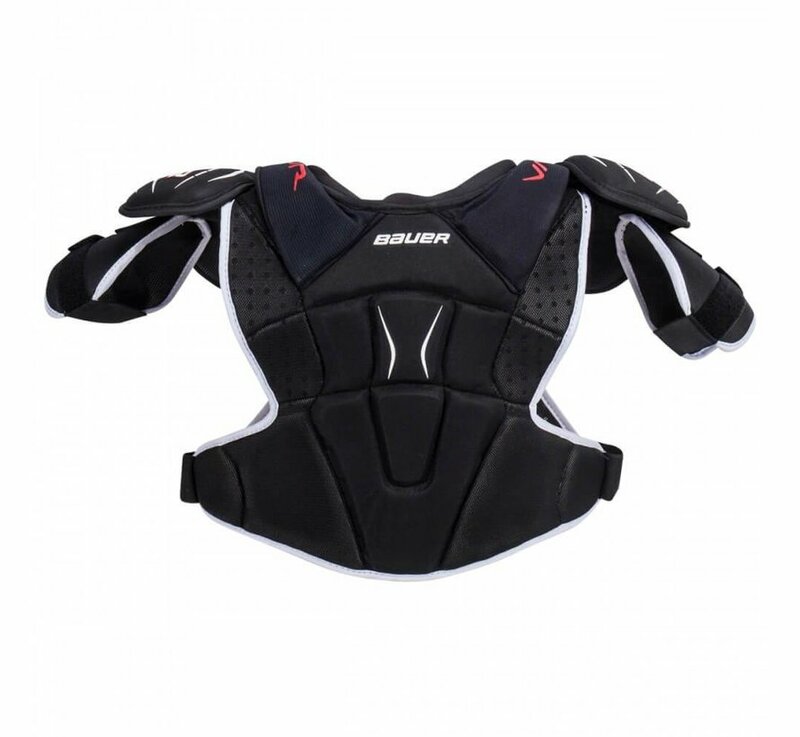 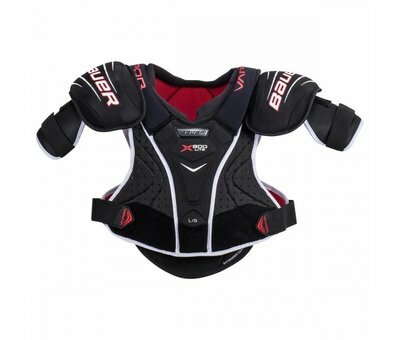 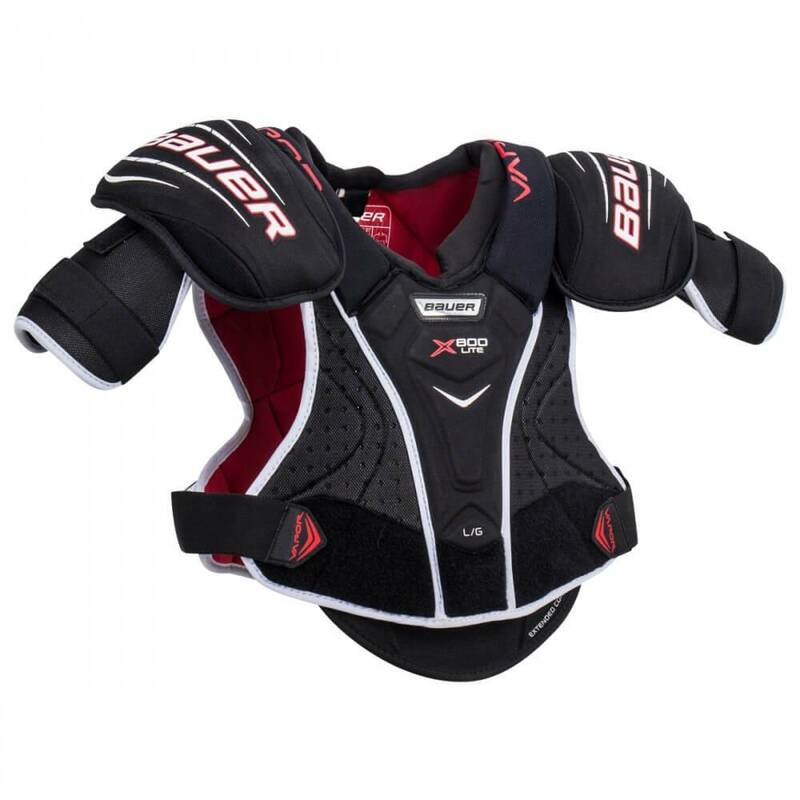 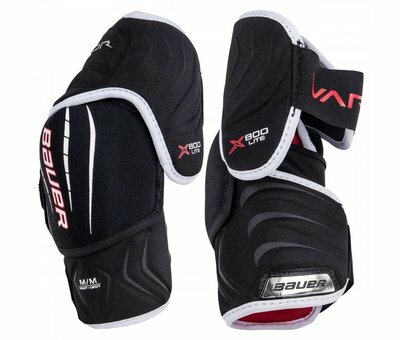 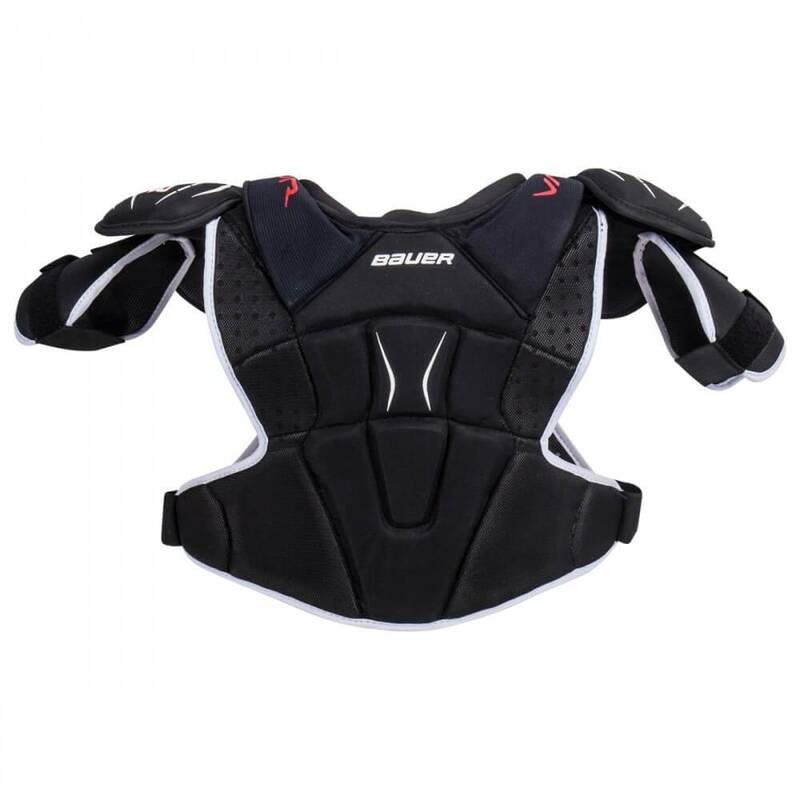 The Bauer Vapor X800 Lite Senior Shoulder Pads offer a high level of protection on this opening price point of the Vapor family. 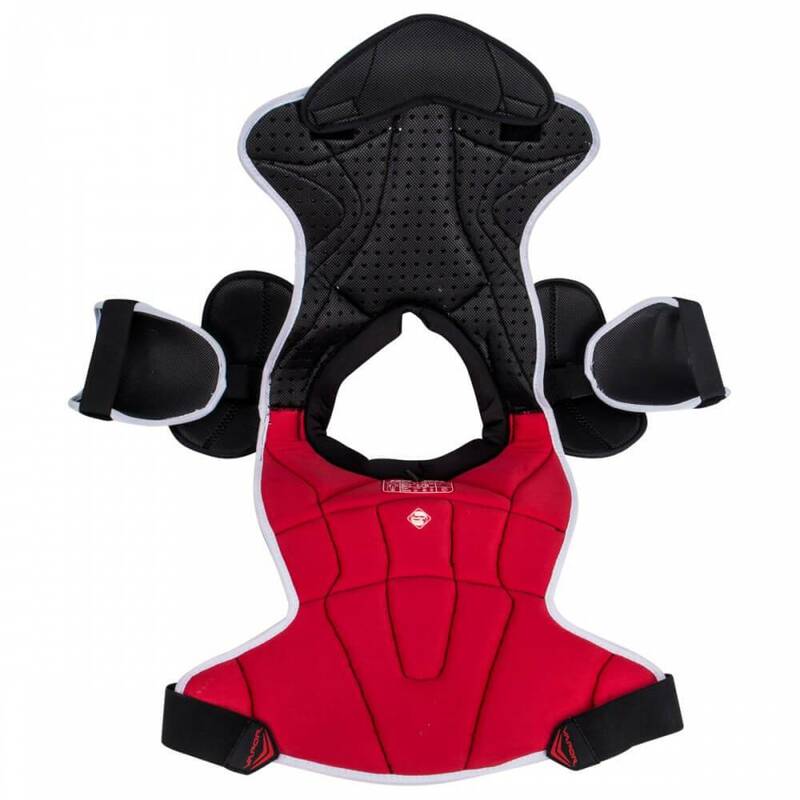 Impact protection in key areas such as the chest and spine comes in the form of elite HD foams or PE inserts. 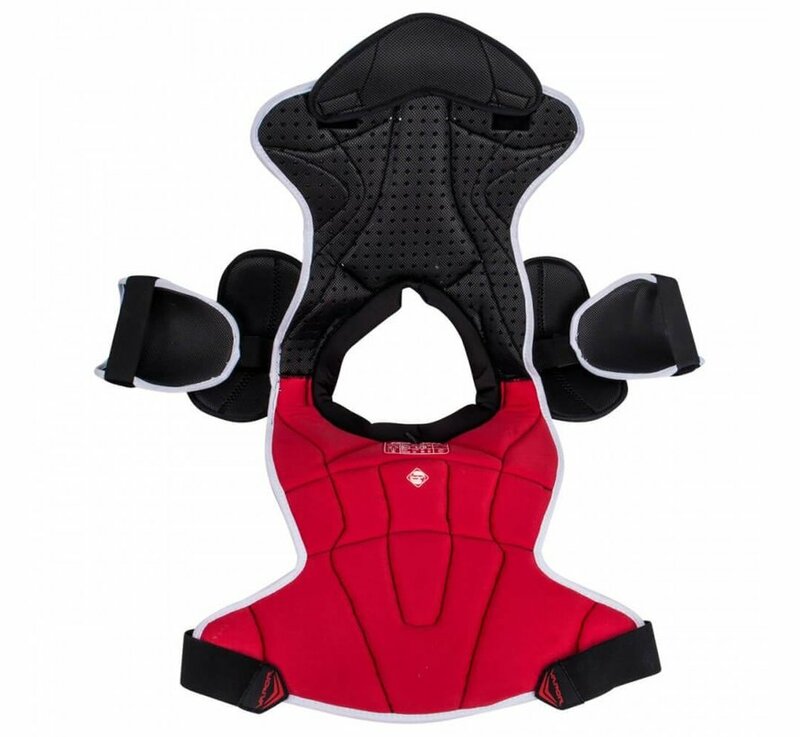 The base layer in these key areas help to provide ventilation with perforated mid-density foams. 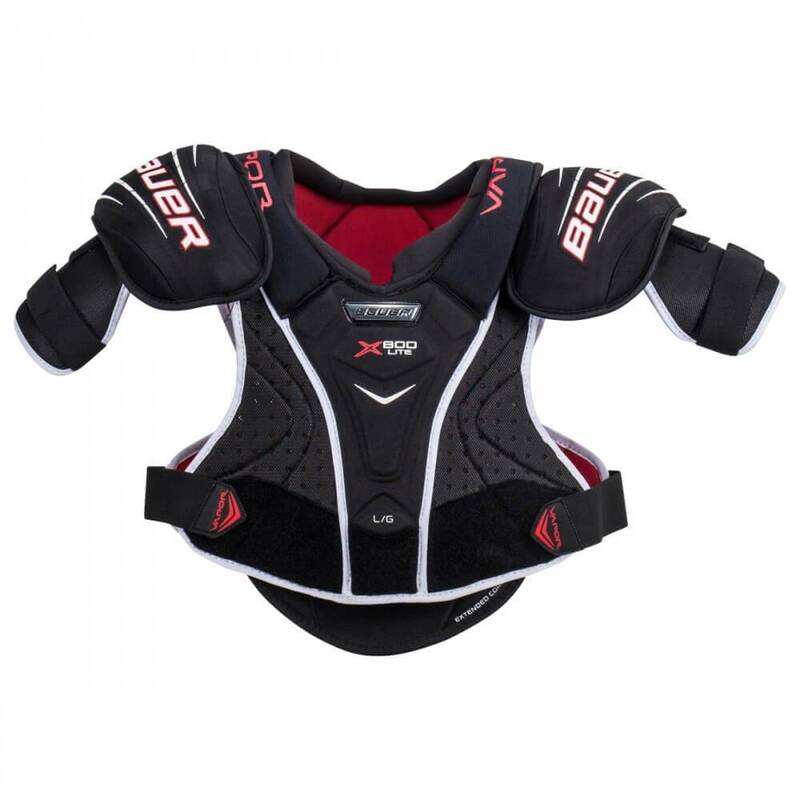 Free Flex Technology can be found in the collarbone, allowing the protective inserts to move with the body for maximum mobility, whilst ensuring protective coverage. 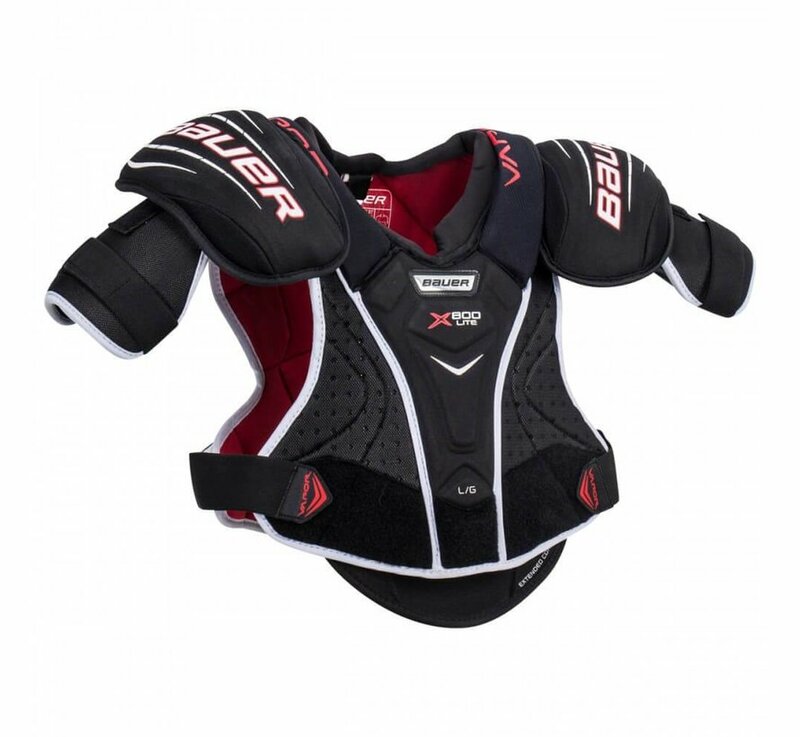 The X800 Lite shoulder caps are anchored to the body of the shoulder pad with nylon straps. 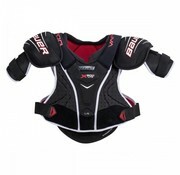 This enables a full range of motion and ensure there are no gaps in the protective coverage. 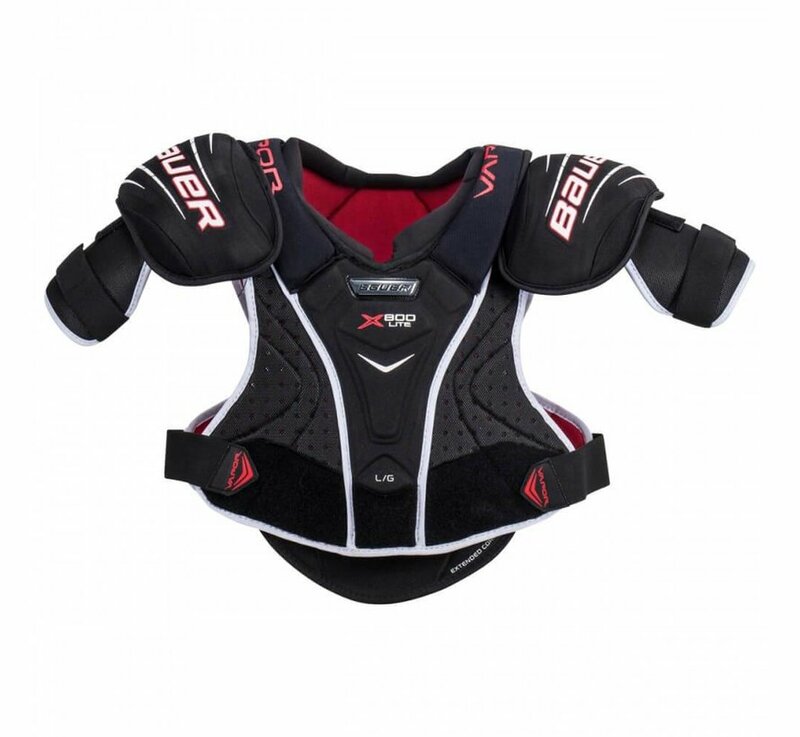 The bicep guards are fully adjustable so players can dial in their perfect fit.